An ambitious work, modern and original, "La Mer" by Claude Debussy received little recognition during the composer's lifetime. Today, however, this is a different story. Often performed in concert, it is one of the composer's most famous and greatest works. It was in Bourgogne, in Bichain, far from the waves and the ocean, that Claude Debussy began composing La Mer, Trois esquisses symphoniques during the summer of 1903. At this time, the composer's reputation is no longer questioned. Renowned critic and composer, he was also a recent recipient of the prestigious Légion d’honneur. In only two years the work is completed. Record time when considering the composer required five years to finish his Nocturnes and seven for his Images! At the work's premiere on 15 October 1905 in Paris, La Mer provoked strong reactions of both incomprehension and curiosity. Debussy was only eight years old when he first discovered the sea. In 1870, before the Franco-Prussian war rocked the French capital, Victorine Debussy took her children to visit her sister in law Clémentine, in Cannes. The young Claude (still called Achille-Claude at the time) kept a fond memory of his trip to the Côte d'Azur. As the years went by, however, he developed a preference for the Channel and the Atlantic Ocean, explains Aurélie Loyer. His link to the sea does not stop there: his father wanted more than anything for his son to be a sailor! "Only the randomness of life made me branch off. I’ve nevertheless preserved a sincere passion for her. You'll tell me that the ocean doesn't exactly wash the hillsides of Burgundy...! And that this could well turn out like some studio landscape! 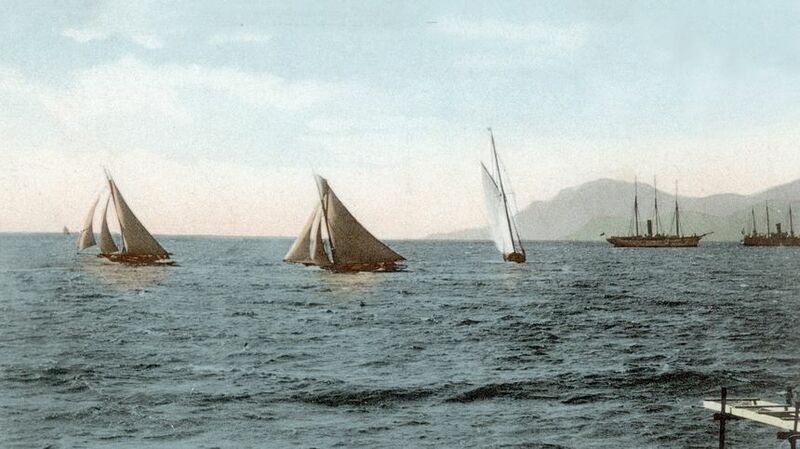 But I have countless memories: that's better, to my mind, than a reality whose charm generally weighs too heavily on one's consciousness", wrote Debussy to André Messager shortly after having put to paper the first notes of La Mer, in September 1903. The day of its premiere, La Mer perplexed its audience. The critics were not kind in their reviews: "crafty", "incomprehensible and lacking in grandeur", "sharp sonority and often unpleasant"... According to François Lesure, "no work by Debussy suffered as greatly as La Mer because of the chasm between its original ideas and its cold reception by audiences for years." With its rhythmic and tempo changes, its "sudden dynamic explosions", the work is novel and innovative in its ideas. In comparison, even Pelléas seems easily accessible! Several critics sought to highlight the work's positive elements. Jean Marnold spoke of a "prestigious polyphony" and of an "orchestra with unexpected sonorities". Furthermore, on 15 October 1905, the performance given by the conductor Camille Chevillard left much to be desired. Already during the rehearsals, Debussy was often confused when confronted with the conductor's erroneous understanding of the work: "he is decidedly lacking in artistry". In January 1908, same month as his marriage to Emma Bardac, Debussy was asked to conduct La Mer himself. A successful first attempt at orchestral conducting since, though the critics were no less divided, the public was now wholly convinced. Though Debussy never explicitly described the work as such, it is nonetheless hard to deny that La Mer strongly resembles a symphony. Firstly, the work is divided into three sections. "De l’aube à midi sur la mer" resembles the traditional first movement of a symphony with its slow introduction, two main themes and a coda. As for "Jeux de vagues", it borrows its for from the scherzo, and "Dialogue du vent et de la nuit" is in the form of a rondo. A confident of Debussy, Louis Laloy made on several occasions the same allusion. The composer never denied it, himself describing the work as "[his] symphony" in an interview in 1910. This was also stated by Brian Hart in an article entitled "The Symphony in Debussy’s World". Surprising when considering that Debussy condemned any and all use of the symphonic form within his own critiques! La Mer was composed during a series of emotionally complex events for Debussy. After five years together, his marriage to Rosalie Texier began to crumble. "Lilly" grew increasingly disinterested in her husband's work, and his delicate health added a great burden to their relationship. In 1903, Debussy became enamoured with the mother of one of his students, Emma Bardac. In her forties, like Debussy, she was lively, playful and cultured. Their affection for one another was instantaneous and their relationship grew steadily in 1904. The composer drove his beloved to Jersey, then to Pourville, two locations that undoubtedly inspired several pages of La Mer. As for Lilly, she was overwhelmed by the curt letters from her husband. On four occasions, she threatened to commit suicide. On 13 October 1904 she shot herself in the stomach, but survived. The press caught wind of the affair, which created great agitation throughout Paris. Debussy lost many friends, and his divorce only became more difficult. Small consolation, on 30 October 1905, Emma gave birth to a girl, Claude-Emma, fifteen days after the premiere of La Mer. 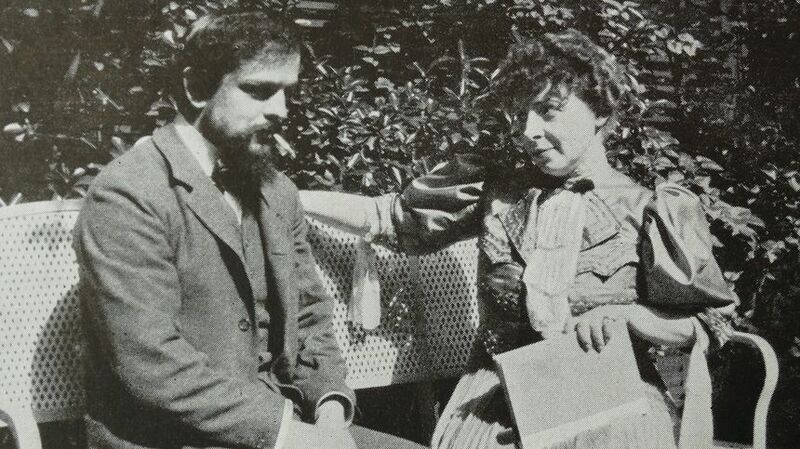 Debussy devoted all of his attention to his daughter, whom he nicknamed "Chouchou". The work is unquestionably pictorial in nature. One need only consider its subtitle "trois esquisses symphoniques" [three symphonic sketches]. Drawn by art and painting since his youth, Debussy often told his friends he would have liked to be a painter... But it was not to be! Nevertheless, though he never learned to handle a brush, he knew how to use musical notes. 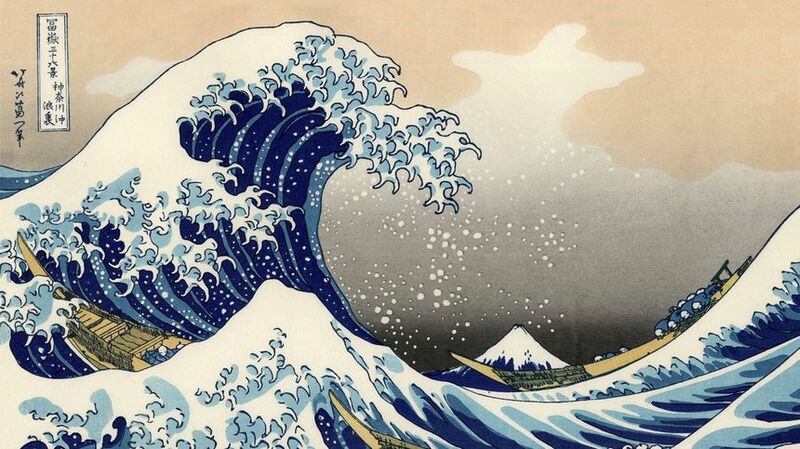 Furthermore, the composer asked that "The Wave" by Japanese engraver Hokusai be used as a cover for the score. According to Ariane Charton, La Mer draws its influences from "Monet, Turner, and Hokusai". "De l’aube à midi sur la mer" depicts the sunrise to its peak at mid-day, peak suggested by the powerful final D flat major chord. "Jeux de vague" suggests the ripple of the swell though busy melodic motifs, whilst the third and final movement portrays the clash between the wind and the sea. Debussy, however, did not simply a composer a musical portrait of the sea. "It is futile to try and understand La Mer without the elements of its musical substance", wrote François Lesure. The composer sought above all to convey the various emotions he experienced in the past, with musical innovation. Upon analysing the work, we find many experimentations with form, orchestral textures and even harmony.